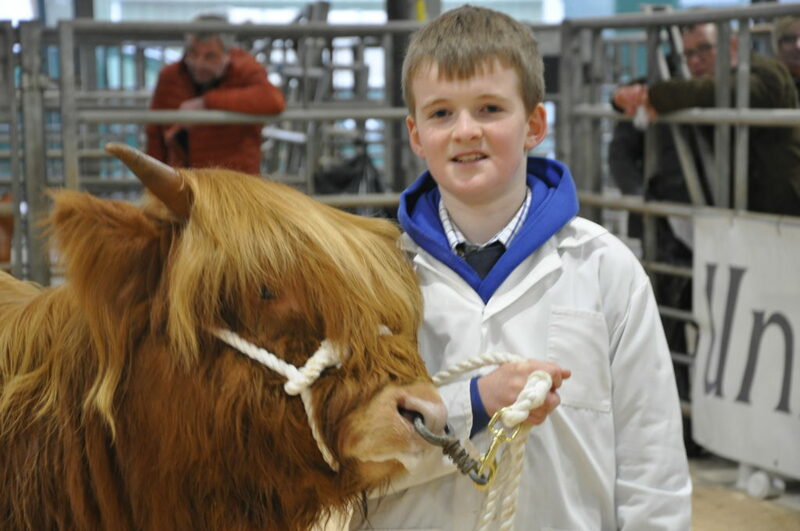 Highland cattle enthusiasts headed to Oban from around the world at the weekend to witness the hardy breed society’s 128th Spring Show and Sale. 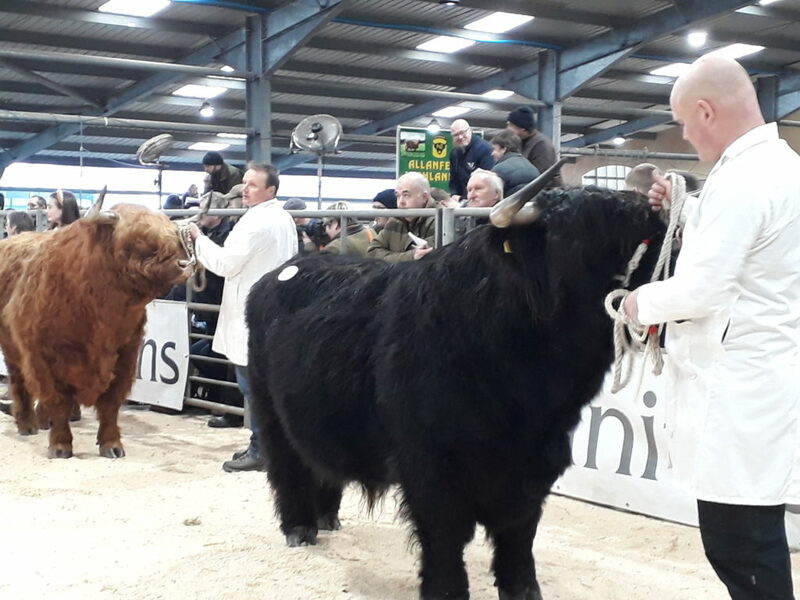 The town was buzzing and the Royal Hotel booked out as breeders and buyers and members of the Highland Cattle Society gathered for the spectacle at Oban Livestock Centre. 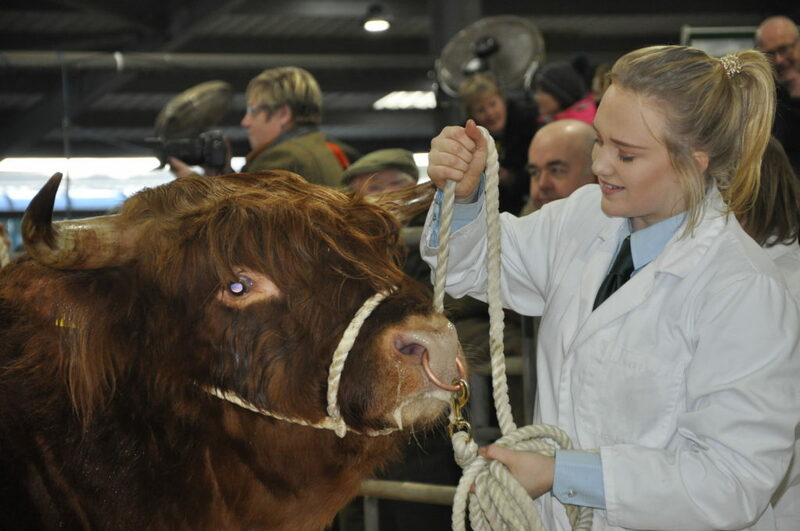 Organisers said the 128th Spring show was the biggest for years, with numbers of animals up by more than 20 on 2018. 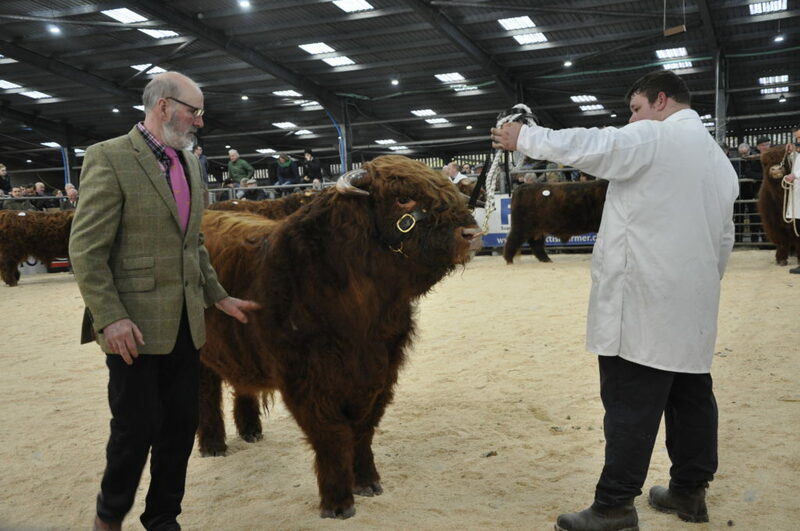 Good numbers showed the increasing popularity of the breed not just in Scotland but beyond the borders as the farming community ‘recognises the value of having tough economic genetics on their farms and the need for this type of cattle for both income and conservation,’ said the Society. 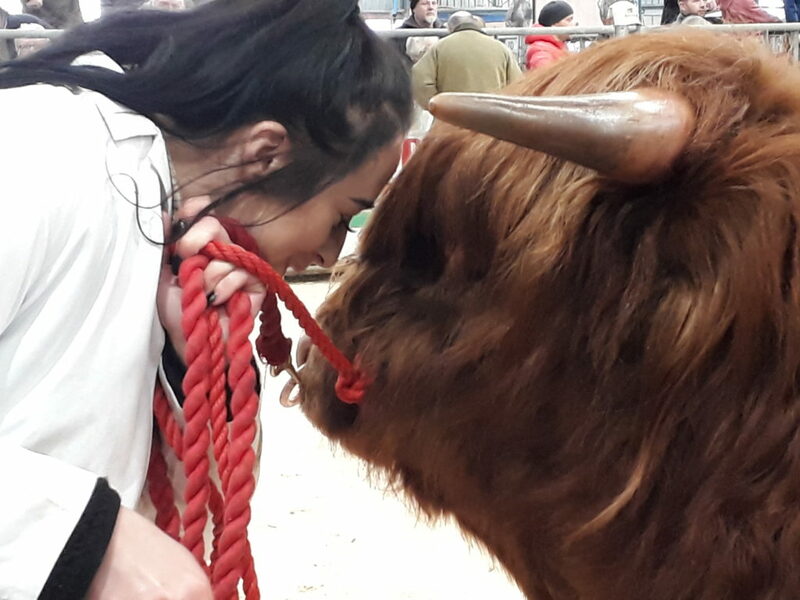 Cattle, descending from the original Highland bloodlines, travelled from all over the UK to take part as well as many original folds from the West Coast and Western Isles. The animals started arriving at the mart on Friday and Saturday to get washed and groomed ready for the show on Sunday with its 14 classes. 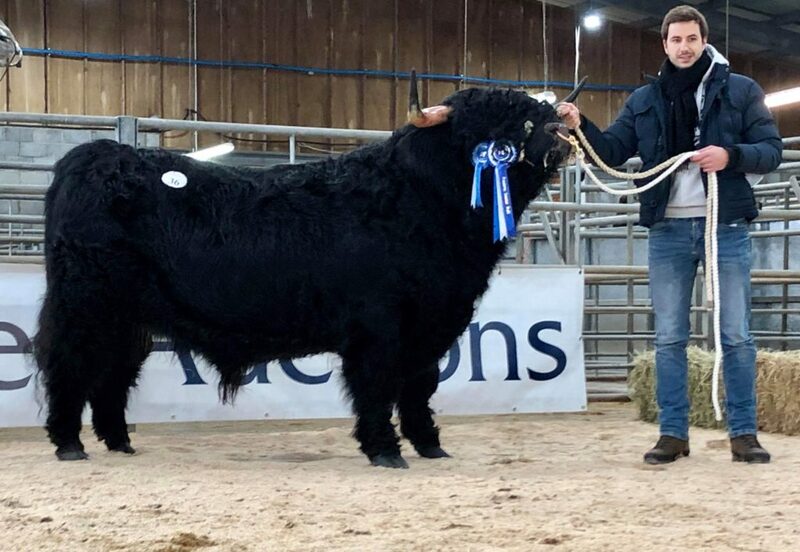 Competition for the champion bull was fierce with many summer show champions in the mix but the overall bull champion was eventually declared as two-year-old bull Brodie of Corntown from Ron MacLean with the reserve being the Senior Bull Eoin Mhor 18th of Mottistone from Michael Poland. The heifers classes followed the bulls, again with some notable champions among them. 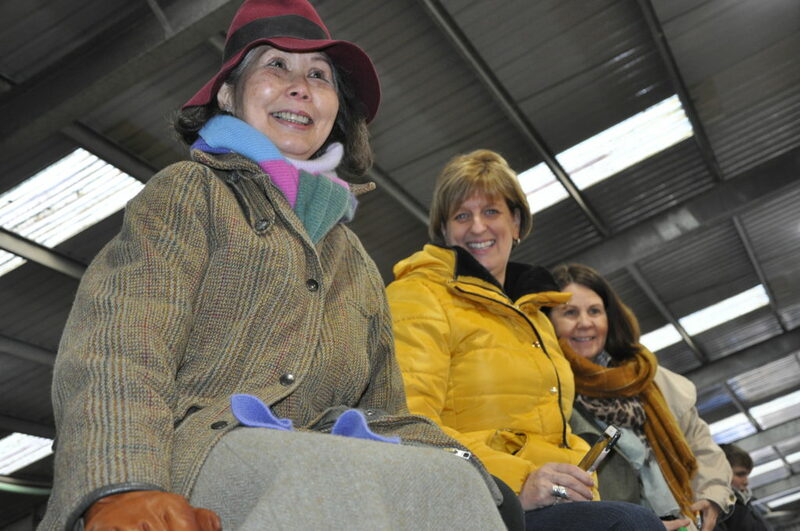 Monday’s sale reflected the quality of the cattle and the demand for both bulls and heifers across the UK. 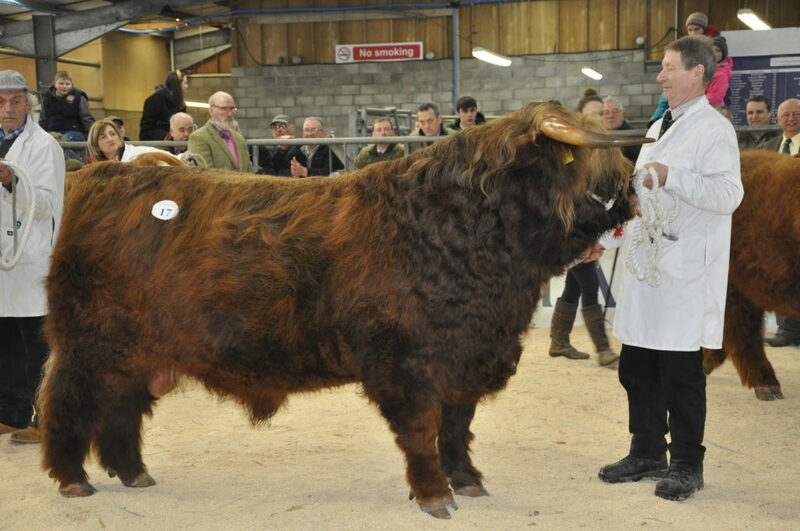 The top price of 11,000gns for Lot 36 was paid for Muran Eerchie of Ardbhan UK501273401283. Born 21/04/16 . He will leave Scotland for his new home in Germany. The Ardbhan fold is on North Uist owned by Mr and Mrs Angus MacDonald. 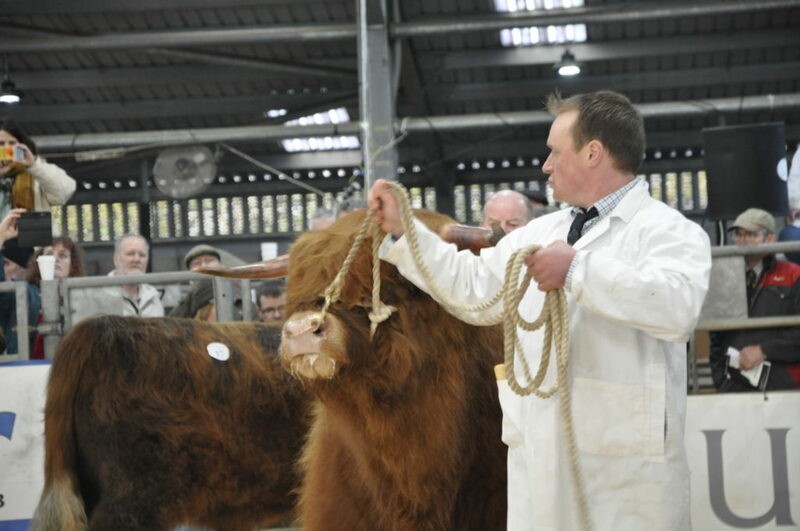 Also in the sale were quality heifers, two of them bought by The Yorkshire Vet of Channel 5 fame. 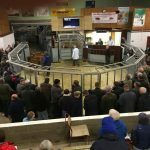 The TV crew who follow the work of Skeldale Veterinary Centre in Thirsk – once the practice of James Herriot – were at the sale. 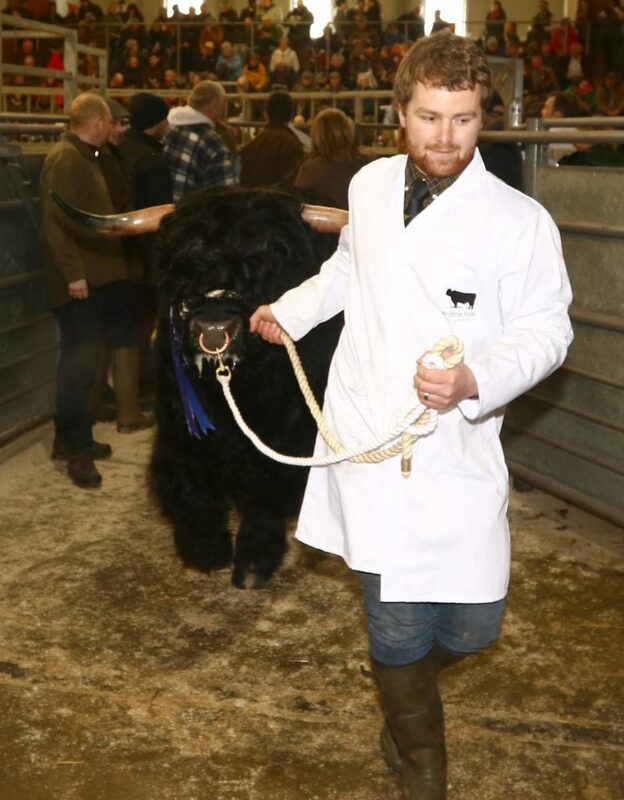 Auctioneer Raymond Kennedy from United Auctions said the sale offered breeders both new and old, a fantastic opportunity to add to and strengthen the genetics of their own folds with some of the UK’s top cattle. 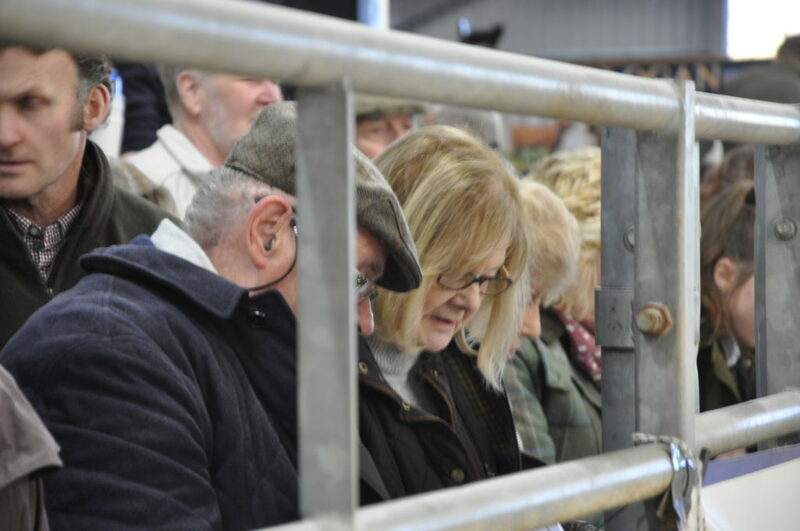 ‘Another highlight of the sale was the inclusion of an excellent draft of pedigree in calf stock heifers and a selection of pure bred bullocks which showcase the versatility of the breed. It was a joy and an honour to sell such quality stock, Mr Kennedy added.